A hot water heater is more than just a convenience in our home, it is a necessity. Although many homes may do without some of the modern-day conveniences such as a dishwasher, there are very few homes that will be without a hot water heater. After all, we rely on hot water for many different factors within the home, including taking a shower, washing our clothes and washing the dishes. For this reason, taking the time to properly diagnose problems is the biggest factor in minimizing the cost of any water heater repair. The hot water heater is one of the basic devices that we have in our home but it is also one that is often a cause for concern. When problems begin to occur with the hot water heater, the two primary choices are either to replace it or to repair it. If you know what you are looking at and understand the problems that can occur with the hot water heater, you may be able to fix it and save yourself some money in the process. Before we talk about some of the specific problems and options for water heater repair, it is important to recognize that not every homeowner is able to take care of these issues. When you are dealing with hot water heater, you are dealing with a piece of equipment that can cause injury if it is not handled properly. Not only can the injury occur because of the hot water, you are also dealing with electricity or gas. If you are uncomfortable working on these types of devices, it is always best to contact a professional to help you with the water heater repair. One of the most common complaints about the hot water heater is that it is no longer producing hot water or perhaps it is not producing enough hot water. This can actually be an issue for a number of different reasons. The first thing to rule out is the possibility that you are dealing with an undersized unit. If nothing has changed in your home recently as far as the number of people who are using hot water or the reasons why you are using hot water, then you are probably looking at a problem with the unit itself. A common problem that occurs in many hot water heaters is for the heating element to go bad. On an electric hot water heater, the heating element may fail before the actual water heater itself needs to be replaced. If you are able to take care of this DIY project on your own, you can save yourself a considerable amount of money. In fact, you may pay under $20 for an element and they can be found at most hardware stores. Something else that may need to be done on a routine basis is to flush the hot water heater. If you do this as a part of the maintenance process on your home, you may be able to get twice as much life out of a water heater. The problem is, most people tend to avoid this chore but it is something that should be done annually. If you don’t do it, you are likely looking at a problem with sediment buildup and it can reduce the efficiency and lifespan of the heater significantly. Sometimes, it is not the temperature of the water or the amount of hot water that is available, it is an active leak. The leak may be taking place from one of the pipes, from a valve or perhaps even from the tank. If the leak is from the inside of the tank and the water heater is more than 10 years old, it may need to be replaced rather than repaired. On the other hand, if the leak is at a valve, connector or at any pipe, it may be possible to replace the part and to seal the leak so that it is no longer a problem. Water heater repair is something that does take some time and experience but it can end up saving you a significant amount of money. If you are unsure of why you are experiencing the problem, contacting a plumber you can trust is one of the best steps you can take. 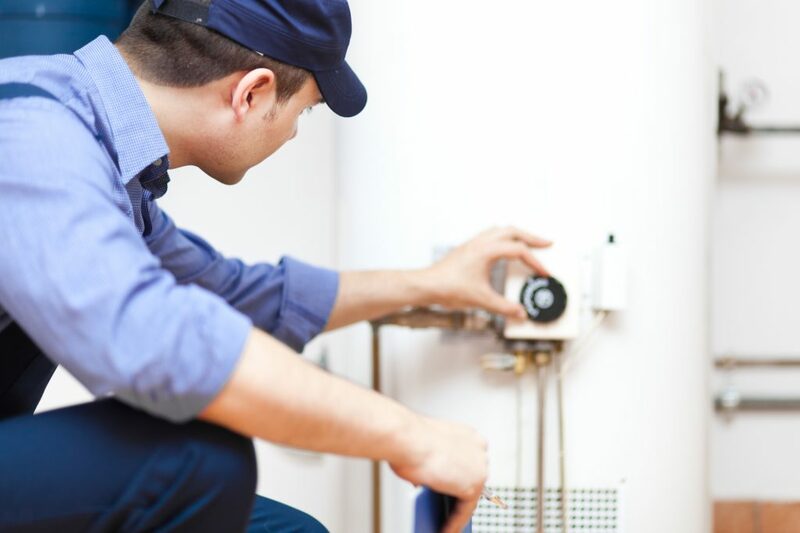 They can come to your home, diagnose the problem and offer you water heater repair solutions that will get you back up and running in no time.